Jo's Close 2 My Heart Craftroom: What do I stick it down with? What do I stick it down with? A few nights ago I ran a class and had a lady come along who is relatively new to scrapbooking. It got me to thinking about adhesives; something which most of us take for granted after we've been crafting for a while. I think it's a good time for a blog post explaining the different types of adhesives that Close to My Heart carries, and what their purposes are. We sell nine different kinds of adhesive, and sometimes it can be tricky choosing the one that is right for you. I have them all in my kit, and select the one that is right for the job in hand. This is basically good quality double-sided tape in easy-to-use dispensers. I also call this dry adhesive. It sits in its little case, coiled on a spool until you need it. And when you add it to your project it will stay tacky. It's my go-to adhesive for many purposes, for example compiling scrapbook pages and adhering photos. The blue case is a 3L adhesive, which I have always trusted. They're the same company who make the Creative Memories tape runner I first started using years ago. The 3L comes out in little dots, which makes "stopping and starting" your run of tape easy. 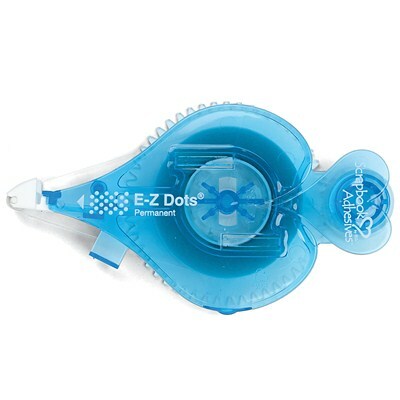 3L E-Z Dots Adhesive (Z3022) $13, 15metres. We also sell a refill, Z3023 $7.50, 15metres. However, many of my customers have had trouble with the 3L adhesive drawing out of the case in one long loop and not spooling back inside. I am always happy to replace these with a new cartridge. 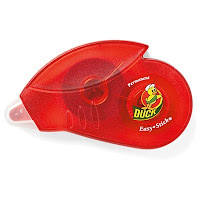 The red case is a Duck brand Easy-stick adhesive, which comes off in tabs and looks exactly the same as the old CM tape frosted tape runner. I have started using this one in place of the 3L blue, and have found it to be more reliable in terms of smooth running. Duck adhesive (Z3033) $30 for a set of four, 6.5metres each. These are fabulous for adding small embellishments to my cards, and are in fact what comes already on the back of most of CTMH's bling. I use them mainly for ribbon though - I've found nothing else that sticks ribbon perfectly in place and keeps it there. 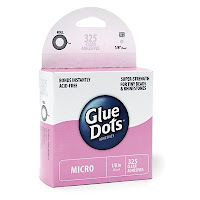 Regular - (1770) $12, 300 clear dots measuring 3/8"
Mini - (Z341) $12, 300 clear dots measuring 3/16"
Micro - (Z2089) $12, 325 clear dots measuring 1/8"
This is wet glue which is absolutely perfect for 3D projects such as Cricut boxes. I find that although it may require a little patience, once the glue is dry, it will stick much more strongly than the tape runners. Something which many crafters don't know about our Bonding Memories glue is that it is also repositionable. Allow the blue glue to become clear before you attach the items, and you'll be able to reposition them if necessary. 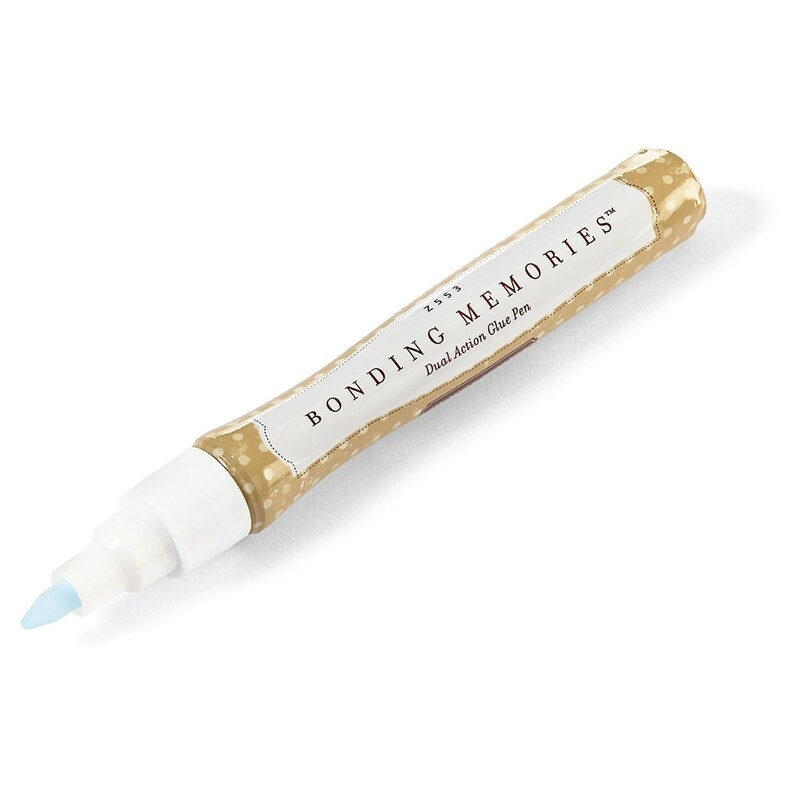 Bonding Memories Glue Pen - (Z553) $7.50. This has a small-tipped applicator for fiddly sticking. 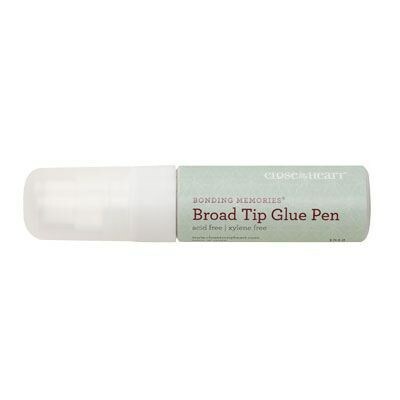 Broad Tip Glue Pen - (1512) $13. 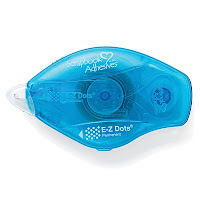 This has a wide applicator and I like loaning this one to the kids. It also seems to last for ages. (Z1151) $10. There are two rolls in each package, 77" each. One is 3/8" and the other 1/4" wide. I use this tape for popping my embellishments up from my projects, giving them dimension. 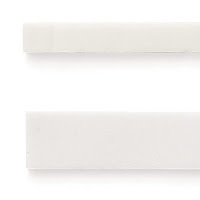 The adhesive is fairly unforgiving, so be sure of your positioning, but once they're in place you can be sure that your decorative elements won't fall off. (Z1805) $7. Set of 25. These little dots never fail to impress customers when they come out at workshops, yet they have rarely been noticed in the catalogue. 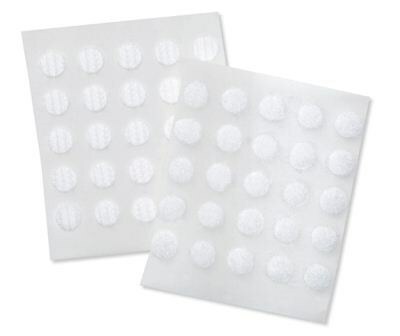 They are tidy little round dots of Velcro, and I use them to seal shut my 3D boxes and mini albums. 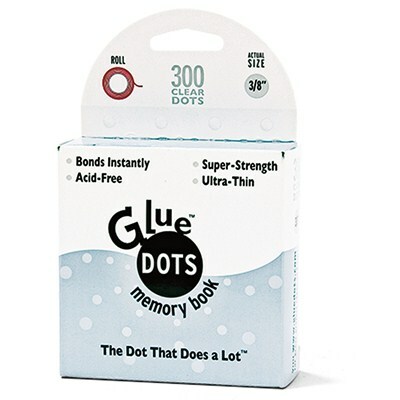 The adhesive is strong, and the dots won't come off once applied. What is it about colouring in?